This ajo blanco recipe couldn’t be easier, and it is perfect for these hot summer days! Ajo Blanco, which literally translates to “White Garlic” is surprisingly mild and very tasty. You can also switch it up by adding different garnishes. We’ve seen ajo blanco made with shrimp, grapes, or even watermelon. 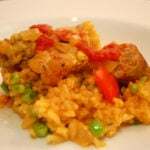 As with many dishes from Spain, the ingredients are simple and the result is delicious! Just make sure no one in your party is allergic to nuts, as the base of the soup is not cream, but crushed almonds! Read on for our traditional ajo blanco recipe. Note: You might use grapes, shrimp or even watermelon to garnish your ajo blanco and give it a unique touch. 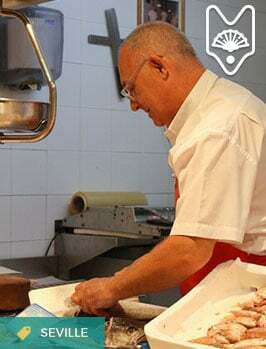 In a blender, mix together the almonds, garlic, sherry vinegar and salt until the mixture is creamy and homogeneous. 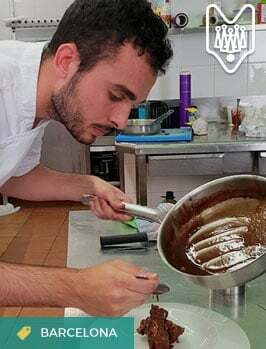 Slowly add some olive oil until the mixture reaches the desired consistency. 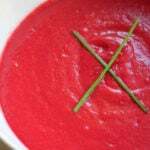 Chill the soup in the refrigerator until ready to serve. When you serve this soup, put your garnish in the bowl first (the shrimp, grapes or melon), then pour the cold soup over the top. 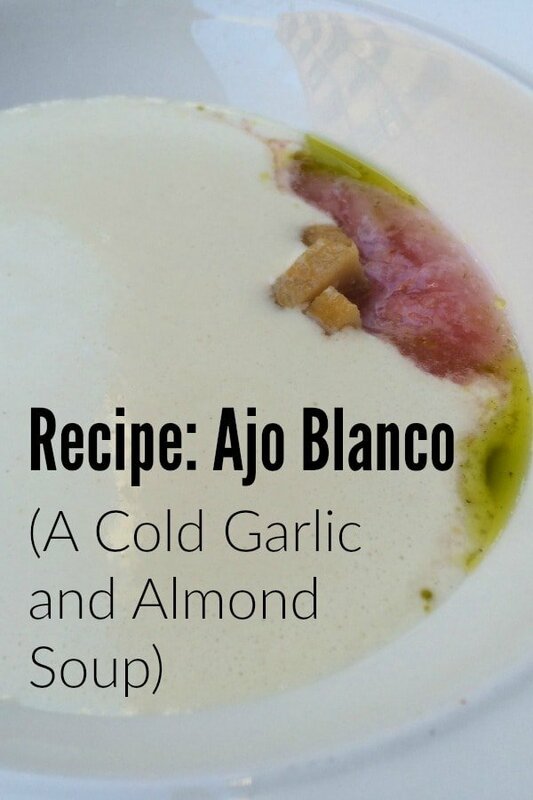 Do you know another ajo blanco recipe? 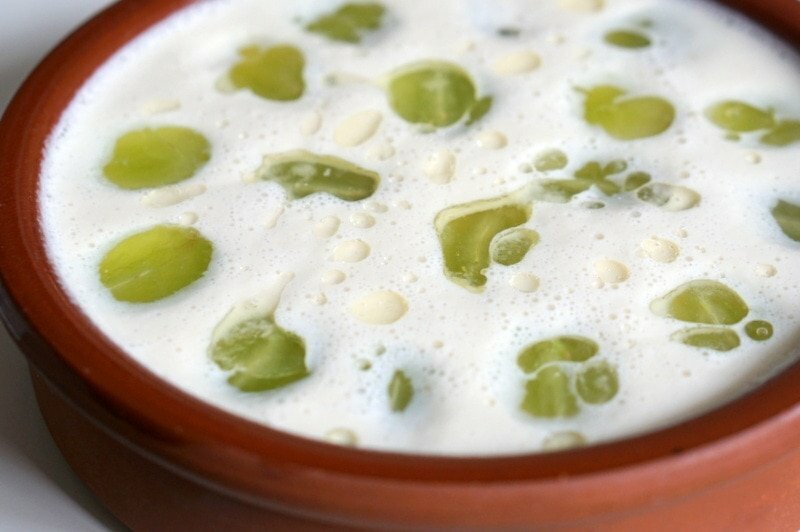 Have you ever tried ajo blanco in Spain? Leave us a comment and let us know! 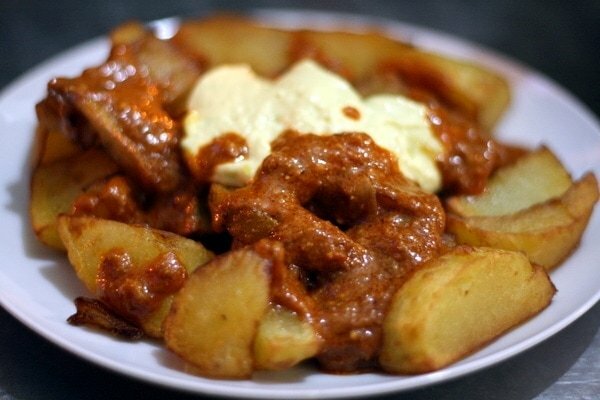 Or better yet, try our recipe and tell us what you think! 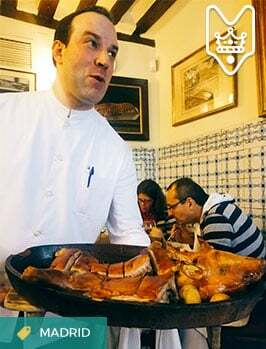 And if you want to discover more about typical Malaga food, join us on a Food Tour! I’m confused by the directions. What do you do with the soaking breadcrumbs?